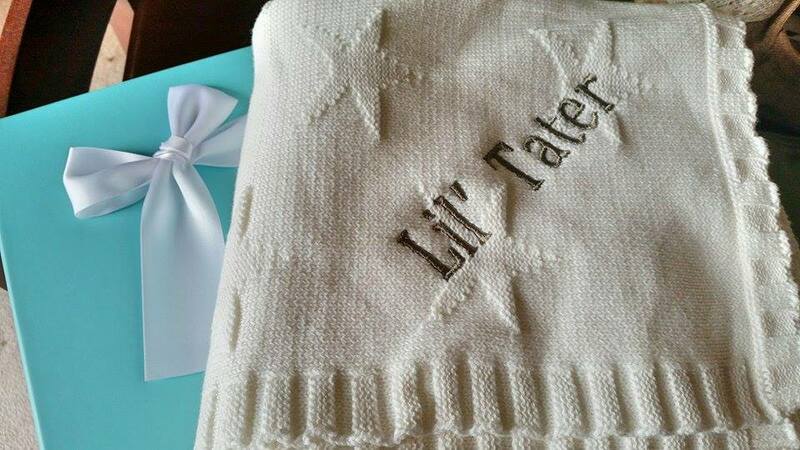 Since 1st Years seen that I was having a baby, they decided to ask me to choose a product from their website in exchange for an honest review, so I said I would and ended up deciding upon the Star Jacquard Knit Blanket and adding “Lil Tater” as a personalization on it. Our last name is Tate, so I thought it was super cute and super fitting, plus it can be handed down to a future kid if we were to have another. This blanket is absolutely adorable and HUGE. I thought it would be the size of a newborn that was big enough to swaddle her in, but this will work for even a toddler bed since it’s 100 cm x 100 cm which equals out to 39 inches by 39 inches. Every stitching is absolutely perfect and I can see this lasting a long time, that is if my daughter doesn’t have any explosive poo’s on it. The box it came in added the perfect touch with a cutesy bow. Anything on their website would make a great baby shower gift for a friend or families new little one since everything can be personalized to fit the new baby. I love it and will be recommending them to anyone looking for a great gift idea. 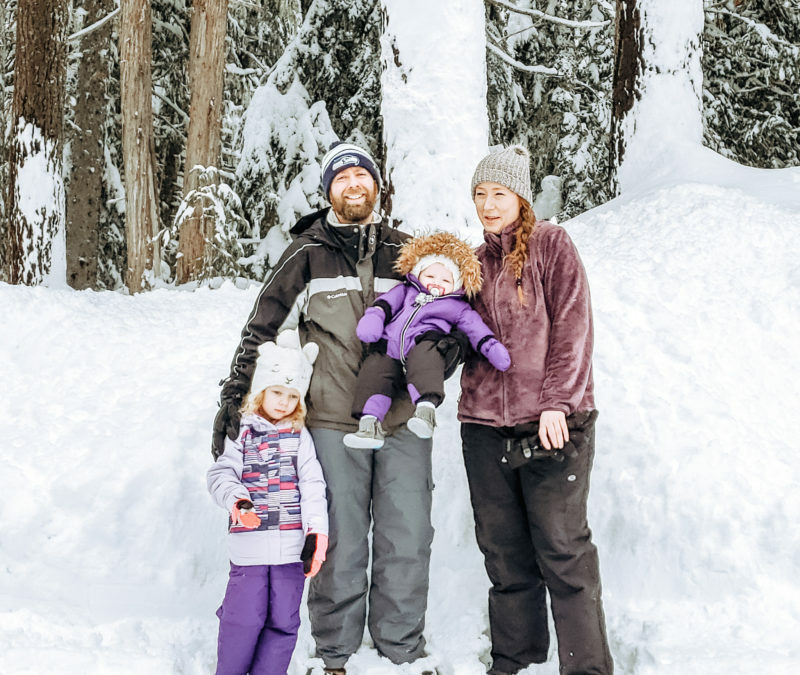 Bringing a new life into the world is an event like no other, and at My 1st Years they offer you the chance to mark this occasion with a uniquely personal gift. Whether you’re looking for a classic teddy bear, a warm knitted blanket or their first pair of high top trainers, their individual category pages allow you to shop quickly and effortlessly for that perfect newborn present.. The My 1st Years team stand apart in their personalization expertise, which they have spent years honing and perfecting. Their carefully selected range comes with the option of being embroidered, flocked, printed or engraved with a special someone’s name or customized message – a service they offer as complimentary because My 1st Years believe each and every child deserves a one-of-a-kind memento that can become part of a treasured memory.